Have you been suffering from a water pipe problem recently? If so, you will need a water engineer to assess the situation and diagnose the issue. Look no further than Water Pipe Repair for all your water pipe repair needs. Moling technology is the most cost effective way to replace your faulty and old lead pipes. It provides the best and cost effective outcome from every possible angle. It's also a great way to prevent unnecessary excavation work to the existing ground surface, all our work is fully guaranteed and we issue a 10 year guarantee and a certificate of approved installation. At Water Pipe Repair, we can provide you with the solution you require at the right price. We offer valuable services including Lead Pipe Replacement, Leak Detection, Water Pipe Repair and Replacements. We are the number one choice for a variety of clients, and always do everything in our power to beat your expectations. How Do I Know How Much Of My Old Lead Pipe To Change For A New Water Pipe? Every property is different, the best way to work out how much of the old lead pipe to replace is to measure from the stopcock in your property to the stopcock in your street. If you do not have a stopcock in your street, then measure it to the boundary line next to the pavement. This will give you a very good indication of the length of new water pipe you require to be replaced in meters. If you are measuring in feet you will have to total up the full length and multiply by 3.3 and this will give you the measurement in meters. For more information on how we can help you, please get in touch by giving us a call on 0800 612 8038. We have specialized lead & water pipe moling equipment which allows us to carry out water & lead pipe repair and replacement with out the need to excavate, this technology allows us to install new MDPE water pipes without disturbing the existing surfaces, all our lead & water pipe renewals & repairs are fully guaranteed for 10 years and a valid water certificate of approved installation will be supplied on completion. Take Advantage of Our Low Fixed Price. Why We Should Change Our Old Lead Water Pipe? For a long time lead has been considered as a very useful material that can be used for a number of purposes such as electronics, plumbing, paints and a lot more. But after that studies have shown that this same lead can have harmful effects on the human beings and mainly in the children under the age of six and can also cause damage to the foetus if water that contains lead particles. The lead pipes were previously used for the domestic purposes but afterwards it was find that the eater sometimes picks up small particles of the lead which if consumed can have bad effects on the health. 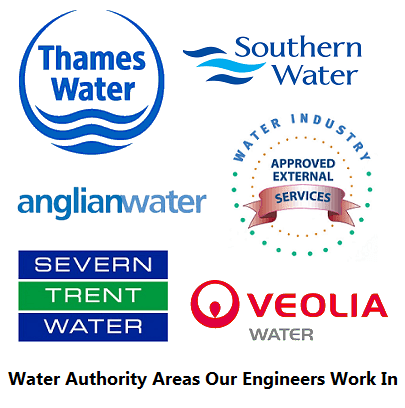 We carry out many lead and water pipe renewals on various domestic and commercial properties, these are carried out when a customer has either had an excessively high water bill or been notified by their water authority that they have a leak. All areas covered include London, Herts, Bedfordshire, and Middlesex.